So, who needs environmental management? 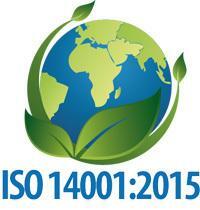 The upside of 14001 is that it’s easily integrated into the existing ISO QMS, so any organization can benefit. While Pro QC does not certify to ISO standards, we add value by getting our clients ready. Our 14001 based audit gives clients assurance for certification, or a general assurance to stakeholders. Many organizations not seeking certification continue to incorporate this standard simply to enjoy the associated benefits. Pro QC’s ISO 14001 based audit goes through a detailed checklist developed with the use of the standard (4:Quality Management System). We incorporate the following to provide clients with assurance in their suppliers’ environmental management. Markets, key clients/personnel, QMS, equipment, etc. Our reports provide the detailed information clients need to make imperative sourcing decisions. Whether it’s an evaluation to determine supplier selection, part of a supplier management initiative, or for internal evaluation purposes, the benefits of incorporating an EMS are relevant to organizations across all industries. Contact us to schedule an ISO 14001: 2015 audit, or ask us questions. Download an example report here.